If you’ve been to the gardens lately you may have seen this beauty in bloom in a sunny spot: Winter Aconite (Eranthis hyemalis). Even better, you may have seen it covered in honey bees. 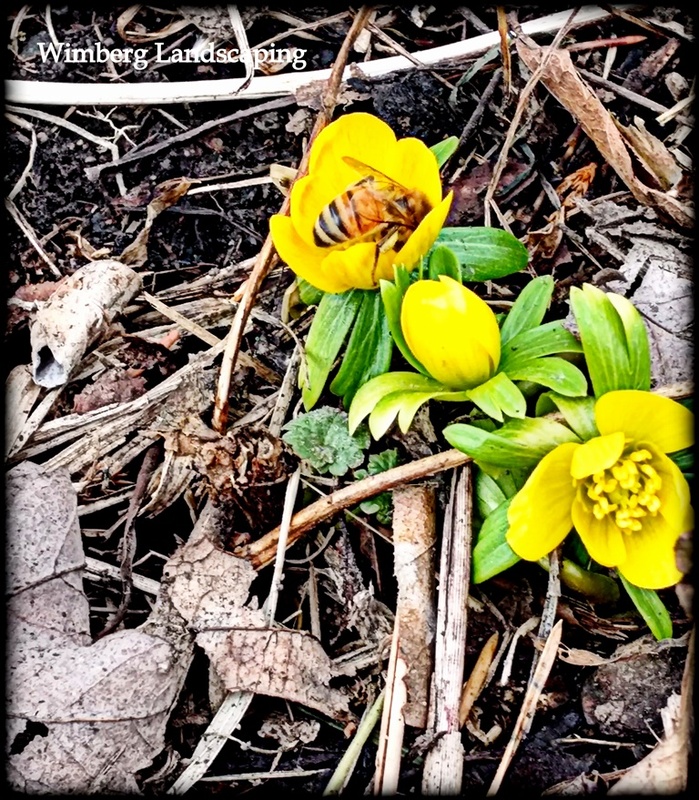 One of the earliest blooming flowers in our area, winter aconite blooms when the snow drops and witch hazel are in bloom, and before the crocus: perhaps the more familiar sign of spring. If you want to welcome spring to the gardens earlier next year, this little bulb is a sure bet. It’s truly a lovely sight to see the cheary, bright yellow blooms poking out from the latest snow cover. It natalizes, desires full sun when in bloom then dappled shade. As the plant slips into late spring dormancy, your overhead plants (shrubs and trees) should begin to leaf out, providing the plant with a bit of shade. Soil should be organically rich and evenly moist (even in summer, we don’t want to bulbs to dry out). It’s deer resistant- always a plus in our area and a food source for the honey bees in late winter-early spring.